On this course you will study the following core units: PC systems, networking and communication and employability skills for IT. In addition to this you will study a wide range of specialised IT units which might include computer system architecture, object orientated programming, games story design, computer animation and developing computer games. 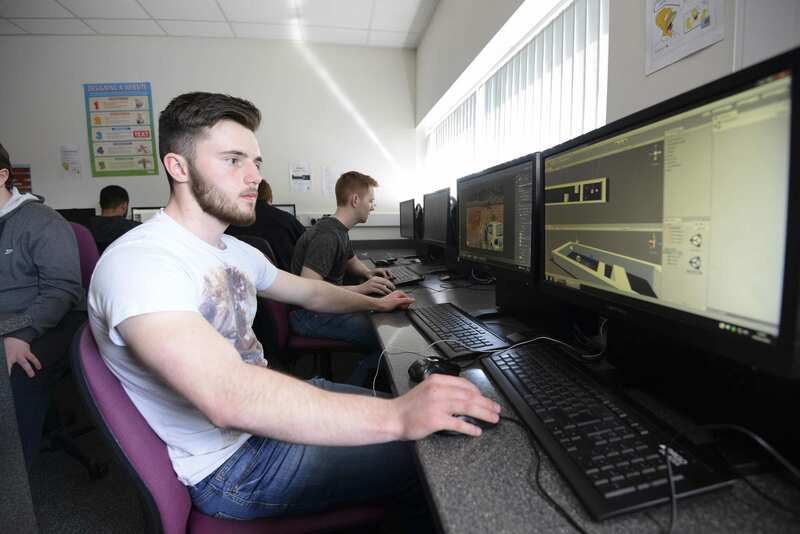 During your second year, you will develop a greater depth of learning with modules such as procedural programming, multimedia design, digital graphics, 3D modelling, game engines and Flash for computer games. Individual units will be assessed via coursework and exams. Students should bring in a USB to back up their work daily. There will be compulsory course related trips that may require financial contributions, e.g. BT, Coca Cola, NEC Birmingham, the Trafford Centre, EGX Games Festival and university open days. You will also have the opportunity to take part in the prestigious Digital Advantage programme and work with digital industry professionals.